Tips always come handy when you are dealing with gate problems. Read down below the best ones and learn what to do when the gate won't open. Find out more about intercoms and keypads and how to lubricate parts. Often, this will happen at just the wrong time. You’ll be late for something, and your gate won’t open when you push the button on the remote. In this case, don’t panic. Check the obvious things – check the remote’s batteries, check for obstructions in the path of the gate. 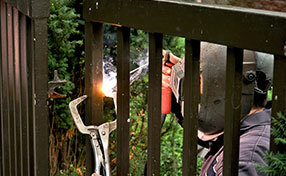 If these don’t work, manually open the gate and contact Gate Repair Santa Clarita for help. 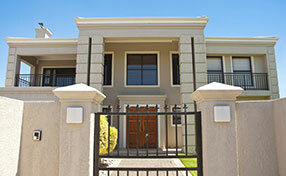 Most automatic gates are installed with a keypad system. The user inputs a code, usually reaching through a car window, and the gate opens simple and easy. But some more advanced systems have an intercom, where a driver can talk to the home’s residents and be either granted admittance or not. These systems are more expensive, but they can be essential if your home receives above-average traffic. If you own a driveway gate then it is important to lubricate the slide chain with heavy axle grease once in a year. To prevent the job from getting too messy, pour out the grease on a cloth and cover the chain with this cloth. Make sure that the entire chain is covered and adjust the gate in such a way that the part of the chain hidden inside the operator is also greased. 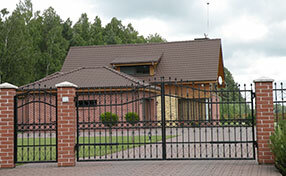 Modern residential gate openers are more advanced than older ones and work with rolling codes. Consequently, they provide greater safety. Also the UL 325 guidelines are renewed and openers have more complete safety sensors. They also move the gate faster and are made of higher technology equipment. Gate repair professionals in Santa Clarita suggest that all homeowners or property managers who have driveway gates need to be acquainted with the basics of driveway gate troubleshooting. While it is possible to call for emergency service for gate repairs, it is still faster being able to do quick troubleshooting especially for very minor problems or defects. Look for signs of rust around the terminals. This is where corrosion usually occurs. This is a serious problem which indicates that the battery will soon be unable to do its job. That is why you should get it replaced without delay. Generally, most batteries last for about a year or two, and should be changed shortly after or preferably before that period is over.